Frankfurt/Main and Beijing, 02 November 2018 // On July 02, 2018, the Chinese National Medical Products Administration’s (NMPA) Center for Drug Evaluation (CDE) selected Shanghai Baosight Software Co., Ltd. in a tender to establish the eCTD data management system, and LORENZ was chosen by Baosight as software provider in this project. To establish the eCTD data management system, LORENZ will provide docuBridge and eValidator as an eCTD review system, validation system, and document management system required by CDE, as well as corresponding consulting and training services. The project is a milestone for all parties. 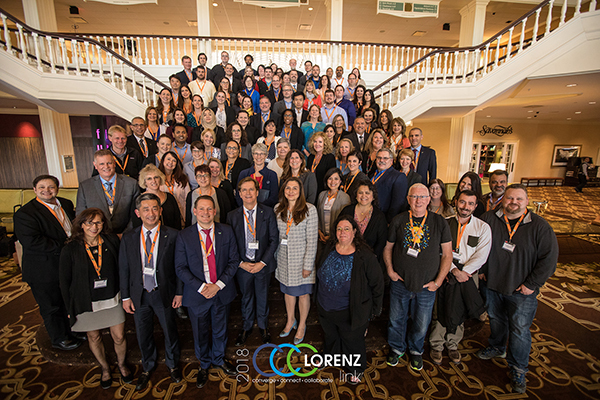 Baosight Software and LORENZ are strongly committed to the CDE’s ambitious goal of implementing eCTD submissions as early as 2019. Since joining the ranks of the ICH – the international body that sets the standards for harmonizing pharmaceutical registrations globally - in June 2017, China has been eager to adopt its standards. This move will widen access to China’s pharmaceuticals market for foreign companies while also enabling local producers to export regulated products much more easily. China’s ICH membership is what has triggered the speedy move to the eCTD format. Tokyo and Frankfurt/Main, 01 October 2018 // The Otsuka Pharmaceutical Co., Ltd., a Japan-based holistic healthcare company, has chosen LORENZ’s docuBridge as their global eSubmission management system. The docuBridge solution will be adapted to support Otsuka’s operations in Japan, the EU, the USA, Canada, as well as its affiliates Taiho Pharmaceutical, Taiho Oncology, Astex Pharmaceuticals, and Avanir Pharmaceuticals. "We are very pleased to award Otsuka’s next generation global publishing platform to LORENZ. The detailed product evaluation by our global team unanimously recommended docuBridge as solution of our choice for its usability, sequence management that supports global submissions, and expanding use by regulatory authorities as their viewer and validation solution.” says Kenji Nagamura, a senior member and sponsor of the product evaluation team at Otsuka. LORENZ docuBridge is the most advanced multi-user eSubmission production and management system for small, medium and large companies as well as regulatory agencies to compile, publish, manage and review electronic submissions. docuBridge complies with all global eCTD standards, NeeS, VNeeS, paper submissions and more. The solution was also recently selected by the USFDA as part of its RIM portfolio. Otsuka Pharmaceutical is a global healthcare company with the corporate philosophy: “Otsuka – people creating new products for better health worldwide.” Otsuka researches, develops, manufactures and markets innovative products, with a focus on pharmaceutical products to meet unmet medical needs and nutraceutical products for the maintenance of everyday health. In pharmaceuticals, Otsuka is a leader in the challenging area of mental health and also has research programs on several under-addressed diseases including tuberculosis, a significant global public health issue. These commitments illustrate how Otsuka is a “big venture” company at heart, applying a youthful spirit of creativity in everything it does. DMS has been a LORENZ partner since 2004 and has actively been involved in developing the Japanese eCTD market for the LORENZ docuBridge Submission Management System software. DMS has been instrumental in aiding in the development of the Japanese language module and continues to provide local support, training, installation and validation to LORENZ’ Japanese customers. DMS has been providing a Japanese eCTD Compilation Service using LORENZ docuBridge since 2006. In close collaboration with local partners, DMS has been further developing and tailoring the product for Japanese pharmaceutical manufacturing and marketing approvals. DMS pioneered the Japanese regulatory affairs market by laying the groundwork for the first ever original eCTD submitted to the Japanese PMDA by Chugai Pharmaceutical Co., Ltd. in 2005. LORENZ Life Sciences Group (www.lorenz.cc) has been developing and marketing software solutions for the Life Sciences market since 1989. LORENZ has an array of Regulatory Information Management solutions geared towards industry, health authorities and academia which enable enforcing compliance globally. LORENZ's tried and tested portfolio offers Product Registration/IDMP, Submission Assembly, Validation and Management, Publishing/eCTD, Regulatory Planning and Tracking products and related services. Interoperability between LORENZ products and third party solutions, as well as the ability to automate processes allow LORENZ customers to enhance operational efficiencies. With over 950 paid installations in 36 countries, LORENZ has a strong worldwide customer base. Frankfurt/Main, 17 May 2018 // The countdown to the LORENZ userBridge 2018 conference has begun! In just 18 weeks, industry and authority professionals from around the globe will gather in Prague to discuss current challenges and solutions in the world of e-regulatory affairs. This two-and-a-half day event hosted by LORENZ Life Sciences Group runs from the 18th to the 20th of September 2018, and will include a range of expert presentations designed to give participants useful new insights into current issues. In addition to the speaker presentations, userBridge will once again offer a wide selection of table tutorials; small group discussions that each focus on a single issue. These sessions offer the chance to ask questions, get answers and understand how others have solved similar issues. Participants can sign up for table tutorials, selecting whichever topics are most fitting. The entire conference is built around the motto ‘’learn, discuss and interact’’; giving participants the chance to network, exchange experiences and reach a deeper understanding of complex topics. The event will take place against the backdrop of Prague, the Czech Republic’s lovely capital. 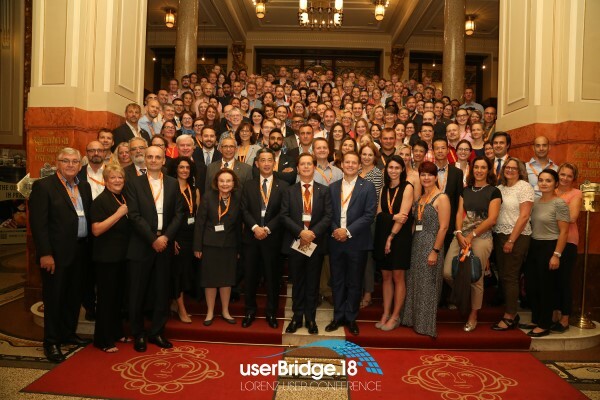 Please click here to register for LORENZ userBridge.18 conference on 18th – 20th of September in Prague! 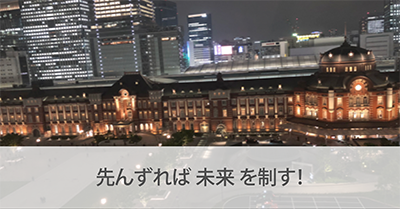 Frankfurt/Main, 9 May 2018 // The DMS User Group, a gathering of 60 participants from 27 pharmaceutical companies that use DMS and LORENZ software solutions, was held on April 23rd at the Marunouchi Hall & Conference Square in Tokyo. The conference setting offered a grand view over Marunouchi Station Square, which opened last year ahead of the 2020 Olympic Games. The year 2020 will also mark the point when all New Drug Applications in Japan must be submitted using the eCTD format. Version 4.0 of eCTD was the clear focus of the gathering, which covered many aspects of the topic including: CDISC handling for PMDA and FDA; the global challenges the companies will face in processing the new standard; and the ICH and PMDA Implementation Guides. There were also presentations by users recounting their own stories of how they have benefited from the eCTD format. Most notably, how the upcoming eCTD version encouraged them to switch from outsourcing submission production to handling the task in-house. In a live demonstration, LORENZ gave users a clear idea of how eCTD v4.0 functions like Controlled Vocabularies, Document Reuse and the unique Japanese submission life cycle requirements with Response Submissions can all be handled in docuBridge. The DMS User Group also marked the celebration of two significant customer milestones. First, the Mitsubishi Tanabe Pharma Co. celebrated its 10th anniversary of having LORENZ docuBridge on-premises. And second, the Daiichi Sankyo Co. achieved a total of 25 initial eCTD submissions compiled using LORENZ docuBridge. LORENZ extends its warm congratulations to both of these valued customers for their accomplishments. The event was a great success and LORENZ Life Sciences Group was honored to participate. LORENZ also extends a hearty thank you to DMS for the organization of the User Group and for the warm hospitality! LORENZ Life Sciences Group (www.lorenz.cc) has been developing and marketing software solutions for the Life Sciences market since 1989. LORENZ has an array of Regulatory Information Management solutions geared towards industry, health authorities and academia which enable enforcing compliance globally. LORENZ's tried and tested portfolio offers Product Registration/IDMP, Submission Assembly, Validation and Management, Publishing/eCTD, Regulatory Planning and Tracking products and related services. Interoperability between LORENZ products and third party solutions, as well as the ability to automate processes allow LORENZ customers to enhance operational efficiencies. With over 900 paid installations in 35 countries, LORENZ has a strong worldwide customer base. Melbourne, Australia and Frankfurt/Main, Germany, 29 November 2017 // Sinapse Pty Ltd, a leading Australian-based management consulting, technology and systems integrator, and LORENZ Life Sciences Group, the market leader as the world’s preeminent supplier of e-Regulatory solutions, jointly announce a strategic partnership today. Soula Skliros, a co-founder and Partner at Sinapse, sees the partnership as a way to give even more value to their current customer base in the pharmaceutical industry: “LORENZ is the market leader in providing e-Regulatory software products to the pharmaceutical industry. Their eCTD Submission Management Solution – docuBridge – used here at the Australian TGA and other government drug authorities like Canada’s Health Canada & the EU’s EDQM, is also well represented and implemented at hundreds of pharmaceutical companies around the globe. LORENZ offers a range of software products that enables a pharmaceutical company to more efficiently compile and manage their electronic submissions, but to also have a better overview of their entire regulatory information – something every company is striving to achieve“ . Sinapse works with leading global health and pharmaceutical companies on their business strategy, business optimization and systems implementations. The depth of experience includes ERP and CRM implementations, Sales and Marketing, Retail and Hospital environments, Wholesale Distribution providers and originators and Generic Pharmaceutical companies. LORENZ Life Sciences Group (www.lorenz.cc) has been developing and marketing software solutions for the Life Sciences market since 1989. LORENZ has an array of Regulatory Information Management solutions geared towards industry, health authorities and academia which enable enforcing compliance globally. LORENZ's tried and tested portfolio offers Product Registration/IDMP, Submission Assembly, Validation and Management, Publishing/eCTD, Regulatory Planning and Tracking products and related services.